What Alice Forgot was a bit of a quick read once I got into it, but in a good way – I didn’t want to put this book down! I found myself thinking about it when I was at work and really looking forward to reading it. I had been in a bit of a reading funk beforehand, where I just never felt like picking up a book instead of watching another YouTube video or episode of something-or-other on Netflix. I freaking love reading, but sometimes I find it hard to focus on or devote my time to a book that I’m not totally in love with. Quick reads with a hint of mystery are a great cure for that reading funk, and I found just the right dosage with What Alice Forgot. Alice Love is twenty-nine, crazy about her husband, Nick, and pregnant with their first child. So imagine Alice’s surprise when she comes to on the floor of a gym (a gym! she HATES the gym!) and is whisked off to the hospital, where she discovers the honeymoon is truly over: She is actually thirty-nine years old, has three kids, and is getting divorced. How can you say no to THAT immediate plot twist?? If you don’t like books that jump around from character to character, or from first person narrative to letter-writing at the drop of a hat, then this may not be the book for you. That kind of writing style keeps me on my toes in a refreshing way that I appreciate sometimes, but I understand how it could be hard to follow. 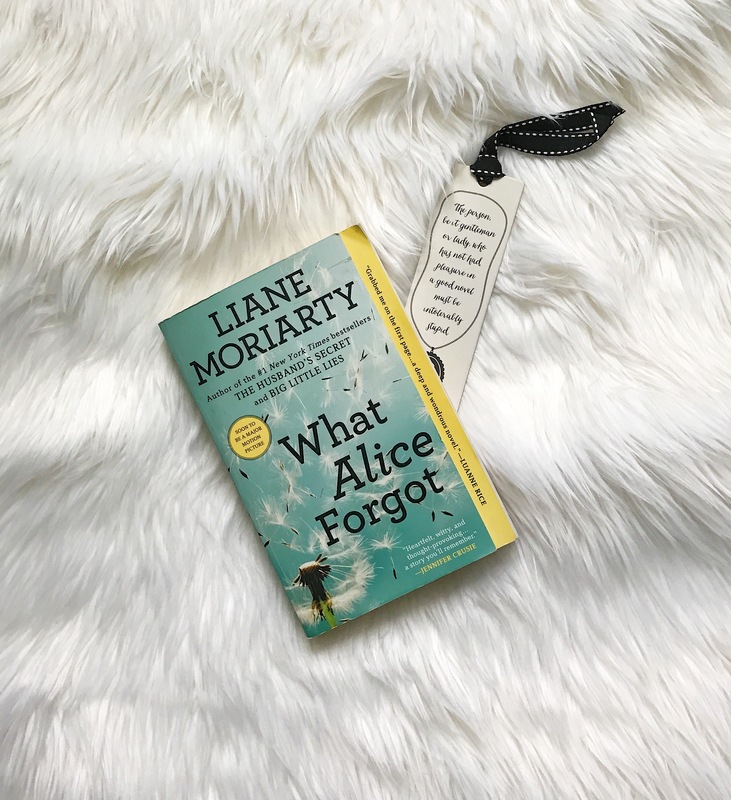 If you need a bit of a reading pick-me-up, I’d definitely suggest What Alice Forgot by Liane Moriarty. Now tell me – what was the last book you read? Have you read any of Liane Moriarty’s novels?